Say hello to the OnePlus Bullets Wireless. At first glance, they look like a fairly standard pair of neckbuds, but there are a few things that set them apart from the competition. I’ve only tried them for a few hours, but at $69, if the sound quality is up to snuff, they check off pretty much everything I’d want from a cheap pair of Bluetooth headphones. 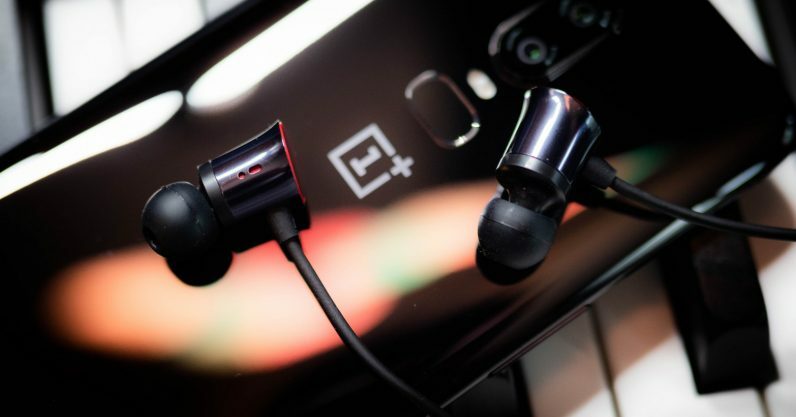 Perhaps most notable is that OnePlus is bringing its fast charging technology to its headphones. OnePlus claims that with only a 10 minute charge, you can get up to 5 hours of music playback. That’s a big deal: it adds a lot of peace of mind if your headphones are running low on charge before you need to leave home. In the time it takes to take a shower or make breakfast, you should have enough of a charge to last you through the day. Better yet, OnePlus says the Bullets should be able to achieve fast charging speeds with pretty much any USB port – no need for a specialized fast charger, though of course OnePlus recommends using its own accessories. As with most batteries, the last leg of charging is a bit slow, but they’ll still reach 100 percent – 8-10 hours of music – in 25 minutes. Oh, and they charge via USB-C, so there’s no need to carry a separate cable just for your headphones, although OnePlus includes a USB-C to USB-A cable that fits snuggly in the Bullets’ silicone case. There are some clever design choices too. Unlike some chunky neckbuds out there, the Bullets Wirelss have a flexible cable that’s easy to store in a pocket or in the aforementioned case. The metal earbuds have magnetic backs which will automatically pause music if you stick them them together – handy if you need to pop out the earbuds to talk to someone. You have the usual three-button controls, as well as access to the Google Assistant by holding down the play/pause button for 1 second. The earbuds are also water resistant and come with removable wing tips for sturdy fit, making them suitable as workout headphones. As for the sound, OnePlus is using pretty large 9.2mm drivers with a buzzwordy ‘Energy Tube’ casing that minimizes distortion. It also offers AptX connectivity for CD-quality streaming on Android phones, something often missing from headphones in this price range. I’ll need to spend more time with the headphones before I know for sure whether they live up to their promise. But given OnePlus’ previous success with its wired Bullets, the low price point, and my brief initial impressions, things are looking good. The only caveat is that OnePlus seems to be selling them in limited amount to start: the company says the ‘first drop’ will happen on June 5.